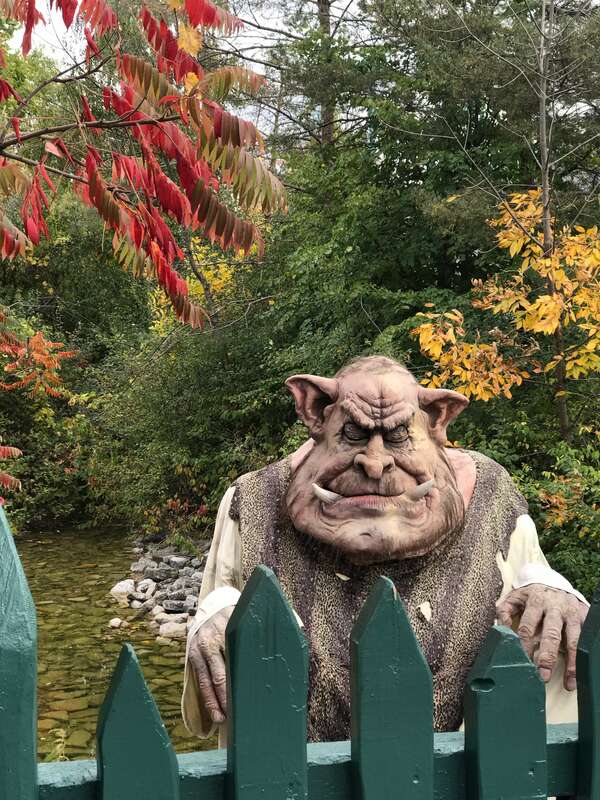 This weekend we spent the day at Canada’s Wonderland’s Camp Spooky, and it’s something you must do before it closes October 28. 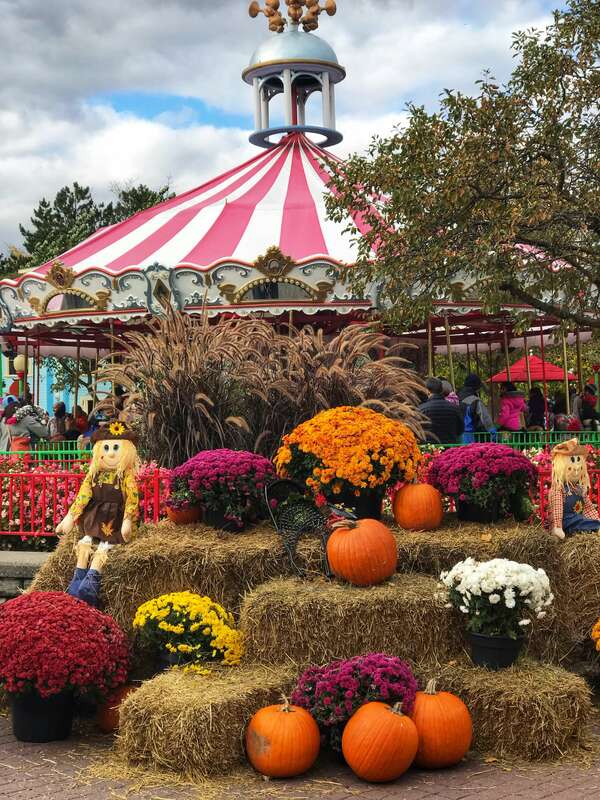 We already love heading to the park in the fall because of the amazing weather, and because we just aren’t ready to take a break from the rides at Canada’s Wonderland! 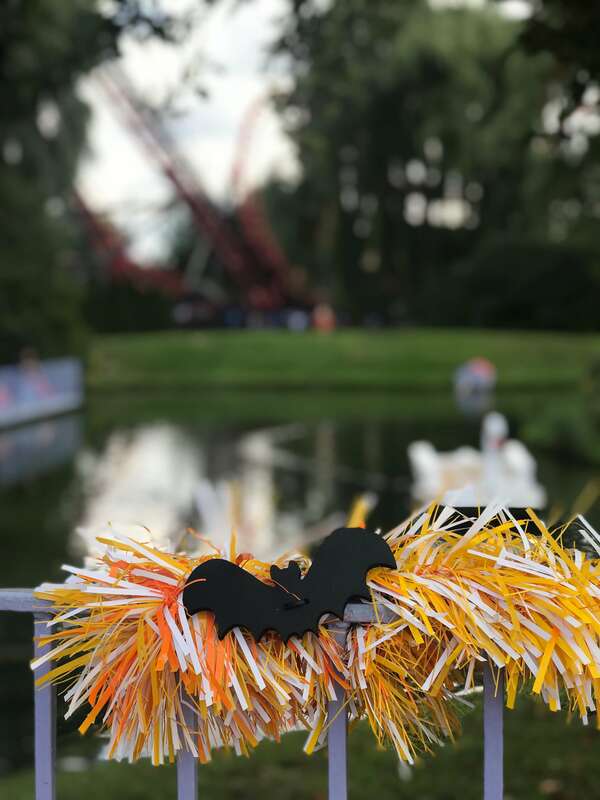 Not only is the park open from 9am – 5pm during Camp Spooky with all of the rides, games and food that you can find in the summer, but there are a few special Halloween-themed activities you can’t miss! 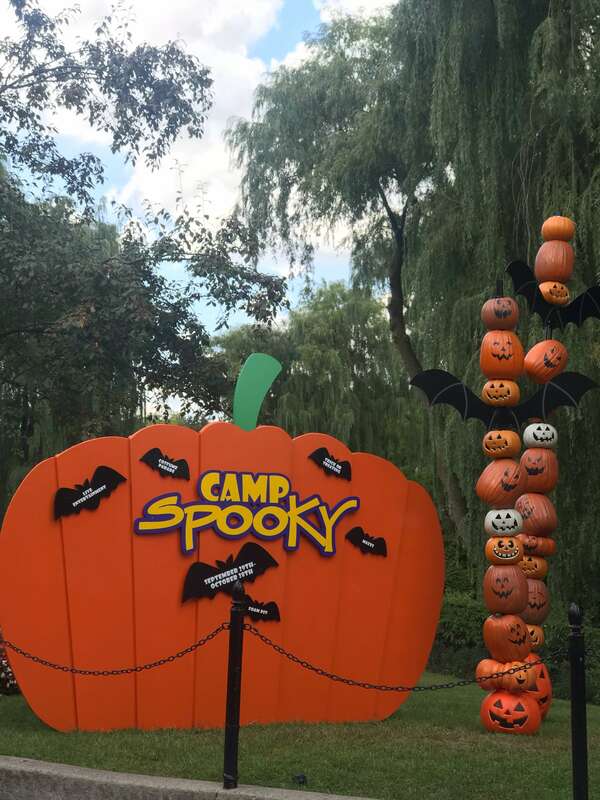 Camp Spooky is free with park admission, and kids are welcome to wear their Halloween costumes as well. 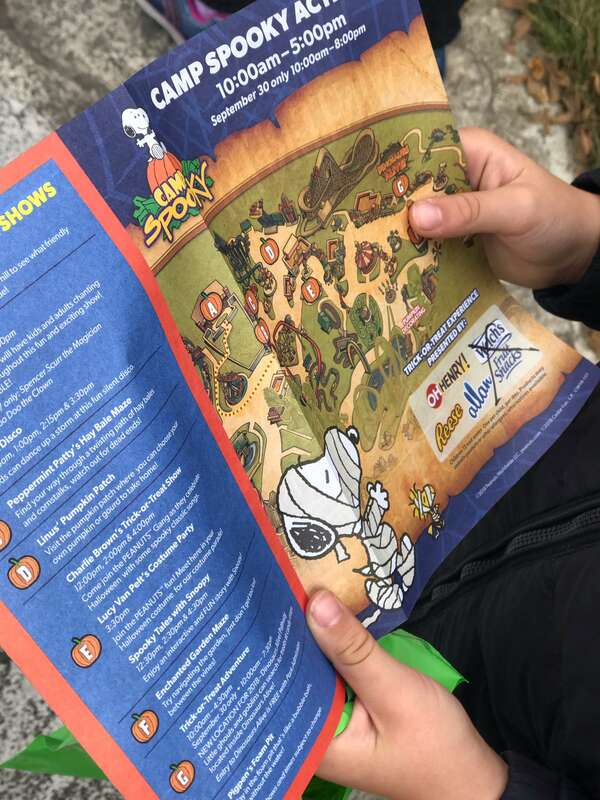 On the way into Planet Snoopy kids can grab a Camp Spooky map which details everything they will want to see and do, plus a bag for trick-or-treating! 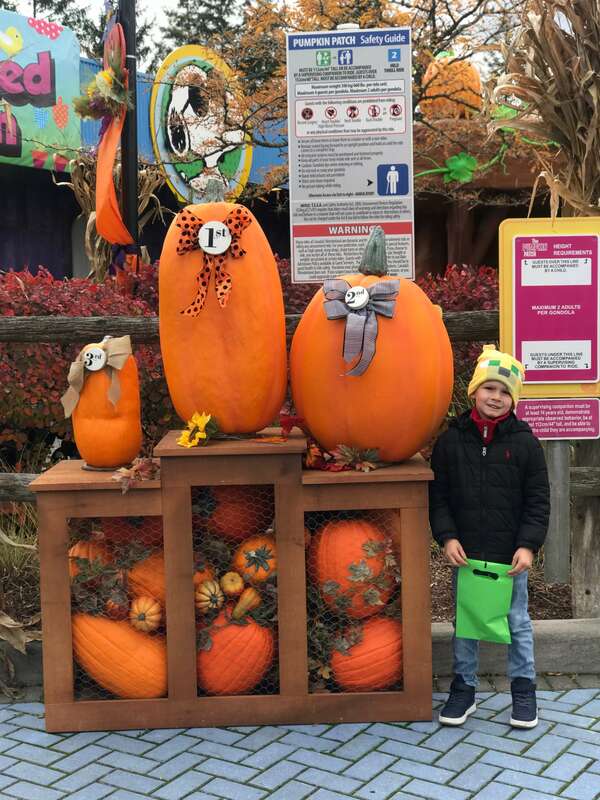 The trick-or-treating happens in the Dinosaurs Alive area, and that was where our son wanted to head for first. 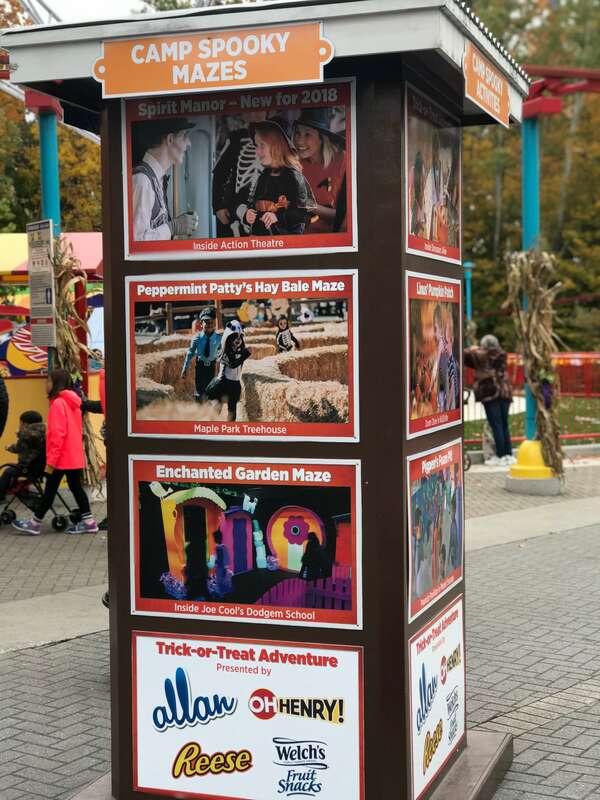 All of the kids would stop by stations where they would receive candy along the way, and the Dinosaurs Alive exhibit was free for Camp Spooky as well. We stopped into the Enchanted Garden Maze which wasn’t scary at all (it was in the dark with glo-paint lighting up the way), and we went through Peppermint Patty’s Hay Bale Maze as well. Pigpen’s Foam Pit party was much like the summer foam party at Kidz Fest but it was a bit larger, and we loved that in Linus’ Pumpkin Patch the kids could choose their own pumpkin to take home! It made the kids really happy! There was also a Silent Disco, where kids would wear headphones and have a dance party which I thought was such a cool idea and fun to watch. There was also Spirit Manor which was a maze that was more fun than scary, and there were a few special show called Spooky Tales with Snoopy and Charlie Brown’s Trick-or-Treat Show at the Playhouse Theatre. We had the best day! The park is so pretty in the fall since it’s surrounded by trees, and it was a really fun alternative to spending the day at a farm. 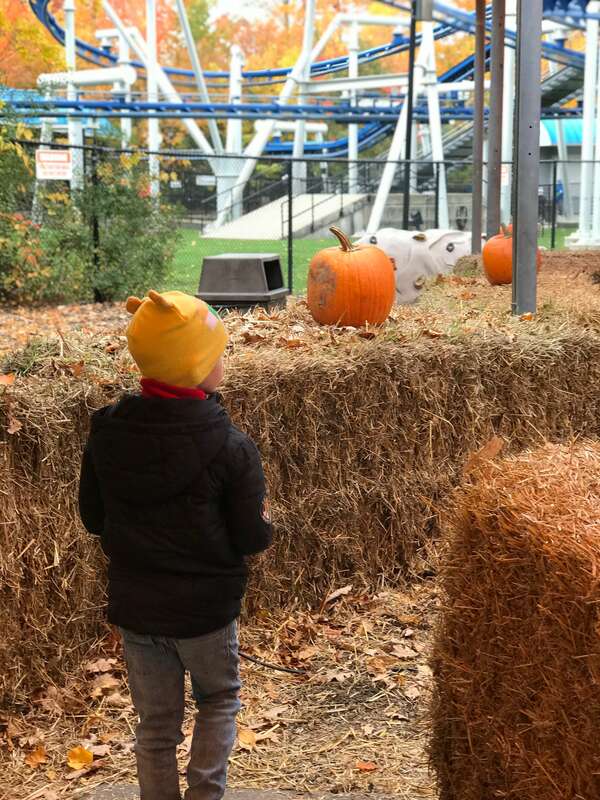 The rides hardly had any lines, and we loved all of the activities! 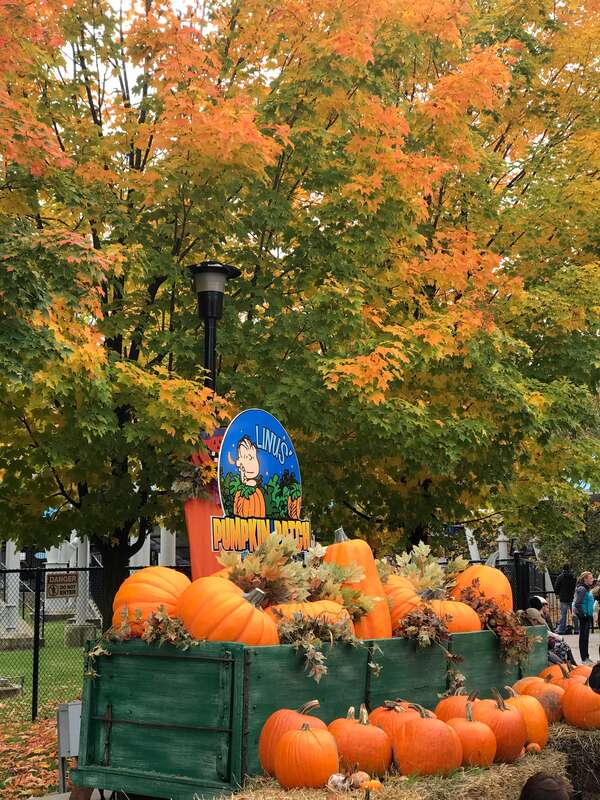 For more details on Camp Spooky, visit the Canada’s Wonderland website here to plan your trip! I am a part of the Wonder Bloggers program this year and was provided park admission for this review.